Breedon Bow Highways | We’ve got highways covered. joining forces to create real change. Breedon Bow Highways Ltd (BBH) is a joint venture between Breedon Southern Ltd and Thomas Bow Ltd. The companies have a long standing relationship and have joined forces in support of the Highways England Pavement Framework covering the Midlands and Eastern England. 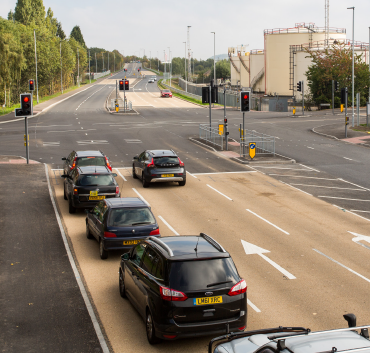 With access to a range of specialised plant, directly employed resource and mineral reserves across the regions, BBH are ideally placed to provide Highways and Infrastructure support across Central England. 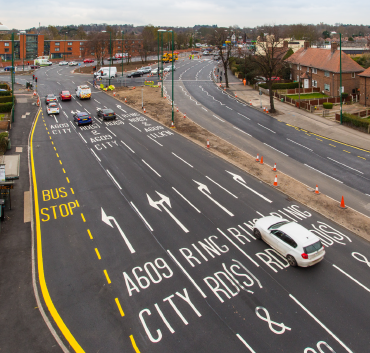 Thomas Bow is a multi-discipline contractor, specialising in highways and infrastructure projects. 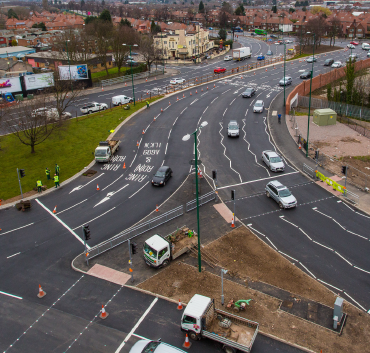 Bringing significant experience as a Principal Contractor, our widespread knowledge of civil engineering will facilitate excellent communication and collaboration with Highways England and the wider Community. In addition, as framework contractor for many highway maintenance contracts, we have excellent working relationships across Derbyshire, Lincolnshire, Nottinghamshire, Leicestershire and North Yorkshire. Breedon Group plc is a leading construction materials group in the UK and Ireland. It operates two cement plants, around 70 quarries, 40 asphalt plants, 200 ready-mixed concrete plants, nine concrete and clay products plants, four contract surfacing businesses, six import/export terminals and two slate production facilities. The Group employs nearly 3,000 people and has around 870 million tonnes of mineral reserves and resources. Its strategy is to continue growing organically and through the acquisition of businesses in the heavyside construction materials market. Our southern contract surfacing business undertakes minor road surfacing projects as well as major infrastructure contracts, serving an area from mid-Wales to the east coast and from the M62 corridor to the South Midlands.